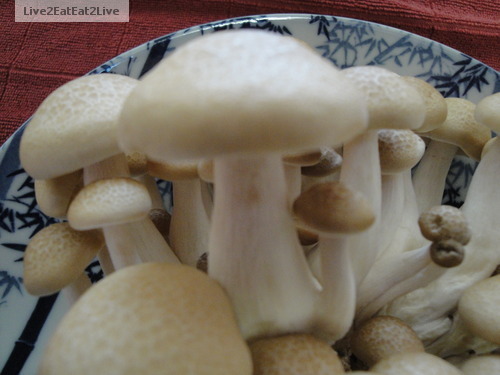 Bunashimeji mushrooms were on sale at our local Japanese warehouse market over the weekend. If you can tell from previous posts, we really like mushrooms. I thought these looked so cute. They reminded me of the dancing mushrooms from a Walt Disney movie. A search on the internet indicated that these mushrooms should be cooked. The raw mushrooms have a bitter taste. The suggested method is either stir fry or soup. 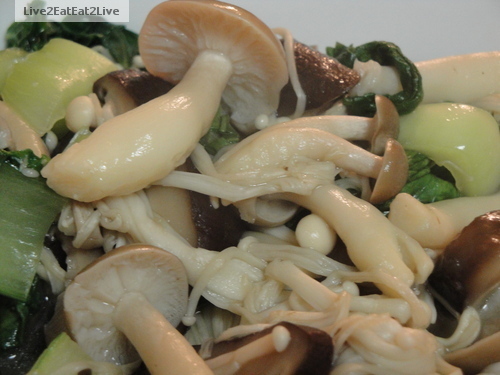 I quickly stir fried the mushrooms with dried shiitake mushrooms, fresh enoki mushrooms, and Shanghai cabbage. Yum. 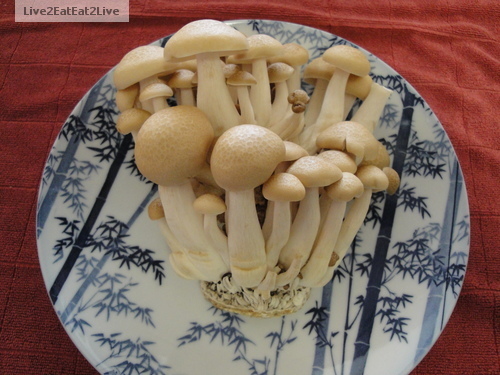 By the way, the Chinese call enoki mushrooms jīnzhēngū or golden needle mushrooms, how poetic. I think these would make a good pasta sauce with garlic, olives or capers, and sun-dried tomatoes. Hmm.